Sound is so deeply segregated into our lives it’s hard not to take it for granted year after year. Still, around 20 percent of Americans will lose their ability to hear at some point in their lives. By 65 years of age, one in three of them suffers from some level of hearing loss, according to the Hearing Loss Association of American. You may think that hearing loss is just a part of the aging process, but there is more to know than that. What you do before you grow older to protect your ears can slow the process and maybe prevent it entirely. The main factor is education. The more you understand about hearing loss, the better. Let’s discuss a few facts about hearing loss that you need to understand before it’s too late. Conductive –What you might link to aging. This form of hearing loss means there is a change in the mechanisms of hearing, so sound waves can’t reach the inner ear. What’s important to remember about conductive hearing loss is it might be reversible. Something is simple as a buildup of ear wax can cause it. 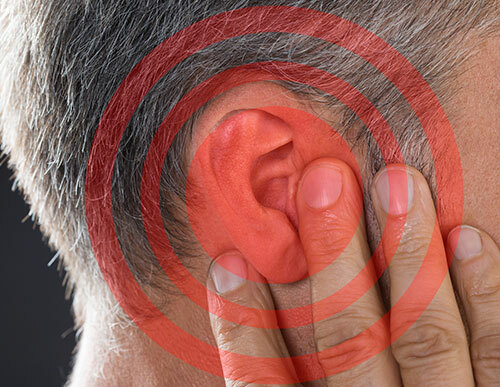 Sensorineural –Damage from an accident or a disease to the ear prevents the nerves from translating sound to the brain. The sensorineural hearing loss not fixable. Once you understand why hearing changed, you can figure out ways to enhance your quality of life with things like hearing aids. Loud noise – Research indicates that at least 48 percent of plumbers suffer hearing loss. Why – probably because they are exposed to loud noises on the job. Even little things like listening to music with the volume up, spending evenings watching your favorite local band perform or riding in the car with the windows down can be a problem. Loud sounds create potentially dangerous waves that will eventually damage the sensitive elements that allow you to hear. Medication – Some forms of medication are ototoxic, meaning they cause damage to the inner ear. There are currently around 200 different medications capable of triggering hearing or balance problems including over the counter aspirin. If you feel like you are having difficulties in any of these areas, schedule a hearing test. The earlier your hearing loss is diagnosed, the better the prognosis in most cases. Prompt medical care for your hearing defect will increase your chance of recovery. The good news is there is life after hearing loss if it does happen to you. There are personal listening devices like hearing aids that help your tune out background noise and enhance dialect, for example. The more you understand about your hearing loss, the better able you are to find ways to manage it.